As new or seasoned parents, we always like to get the best and get it right when it comes to our baby. The product choices out in the market seems to go on forever. Here, we would like to provide a little more information to help parents to make a better decision in buying the right Woombie swaddle for their baby. 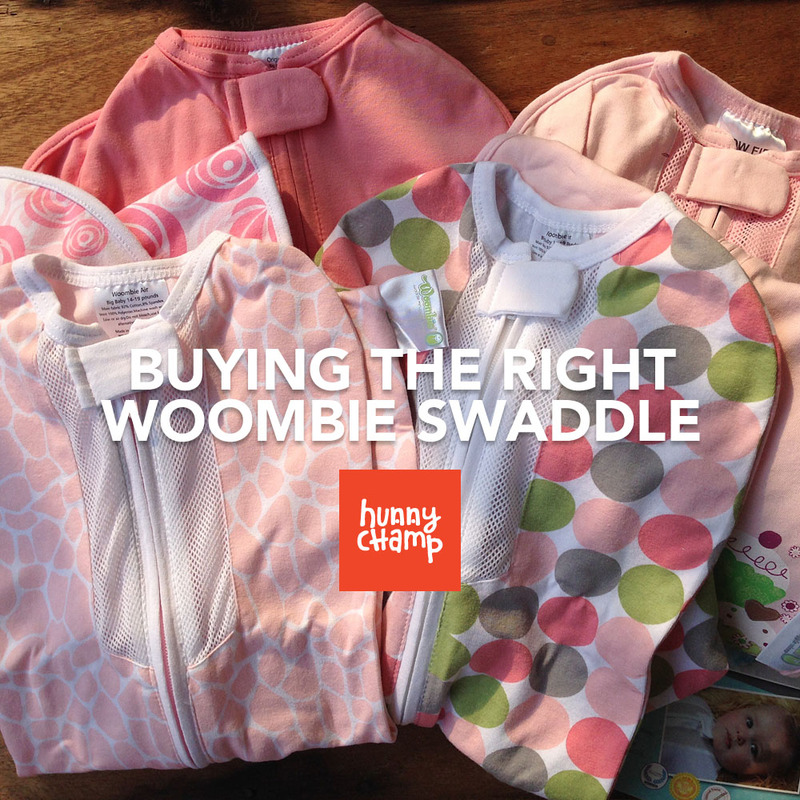 At HunnyChamp.com we carry the Woombie swaddles, designed in the USA and made in an eco-friendly manner in China and India. The guiding light for the Woombie is based on the theme SWADDLE, SNUGGLE, AND SLEEP. They follow a strict compliance per CPSIA standards where safety testing using CPSIA standards and testing in a CPSIA third party accredited testing facility are of the utmost top priority. What that does not pass the testing, will never be sold. It rings true with the core belief of Hunny Champ, where what we won’t use ourselves, we won’t sell. Below is the TOG Guide, a Tog measurement is a European warmth rating: the higher the tog, the warmer the product. We carry 5 different styles of Woombies, the Original, Air, Convertible, Summer and Summer Onesie. All Woombie swaddles are made with a Cotton/Spandex blend. Woombie Original/Summer Onesie – Made with a fabric similar to a tee-shirt. It provides the average swaddle for the average baby’s needs. Light, breathable. Woombie Air/Convertible – Slightly tighter weave when compared to the above. Less stretchy, more swaddle. We have had parents concerned with the Woombie being too warm for their baby especially in the Malaysian weather. We would like to assure the parents that Woombie swaddles fits right in Malaysia’s hot and humid weather. This entry was posted in General, Woombie and tagged cpsia standard, eco-friendly, safety, TOG, woombie.